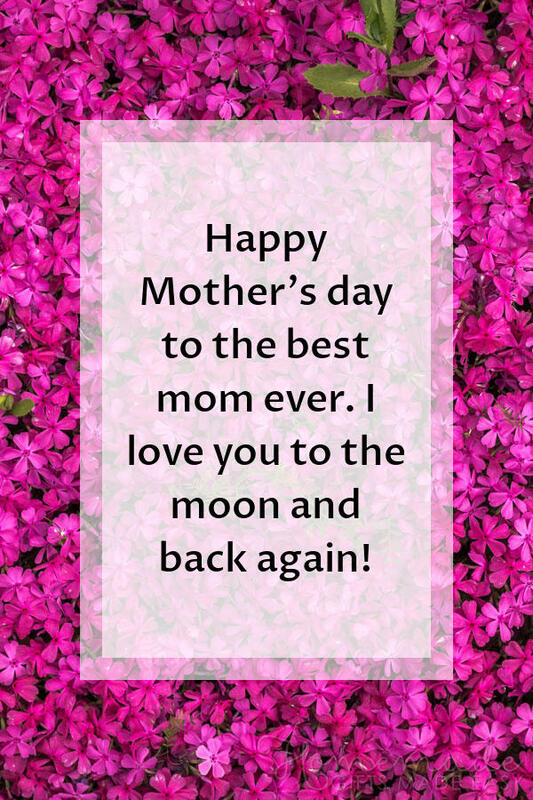 101 of the best Mother's Day sayings, messages, poems, and quotes for cards, SMS messages, and captions. Not sure what to say to your mom on Mother's Day? Finding the words to write in a card to your mom can be surprisingly hard. How do you express your gratitude for all that she's done for you over the years? 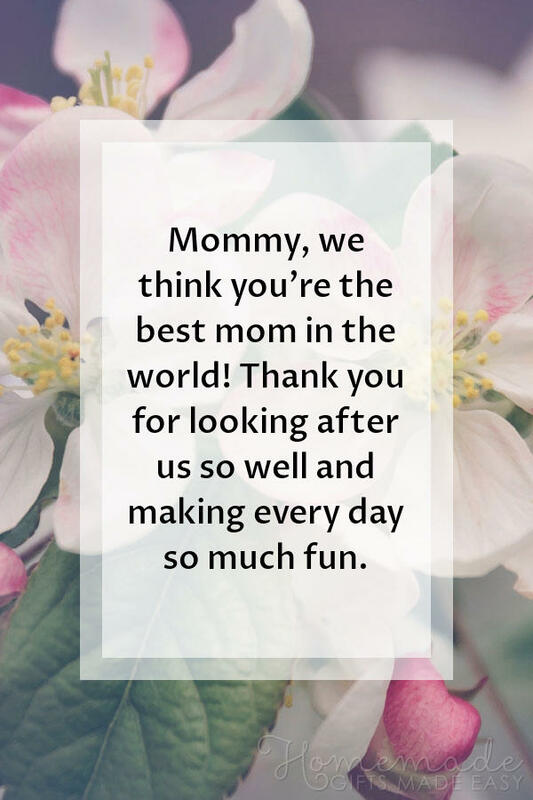 On this page you'll find a range of messages and quotes for cards to help you express your thanks and celebrate your mom. 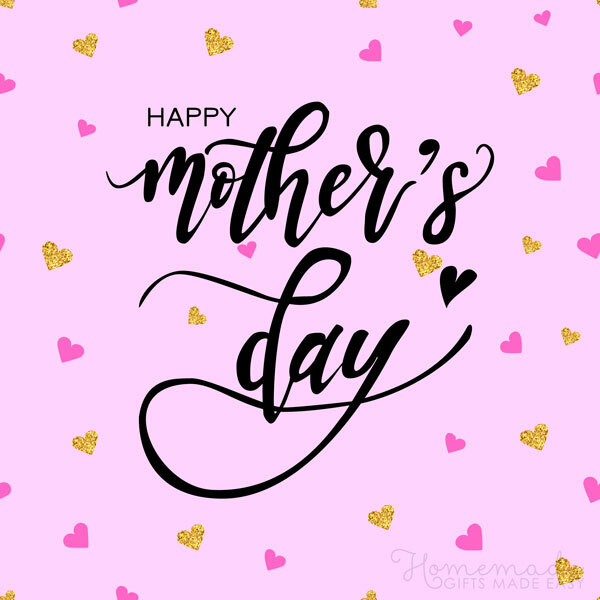 Mother's Day is celebrated on the second Sunday in May in the United States, Canada, Australia, New Zealand, India, and many other countries. This year it falls on May 12th, 2019. In the United Kingdom "Mothering Sunday" is celebrated on the fourth Sunday in Lent. This year it falls on March 31st, 2019. You can find out more information about the history of Mother's Day and when it is celebrated around the world here. 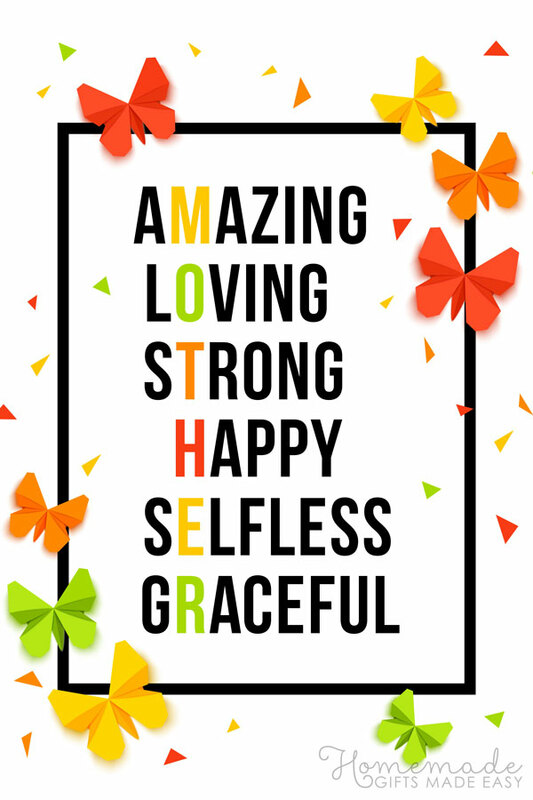 What do you say on Mother's Day? 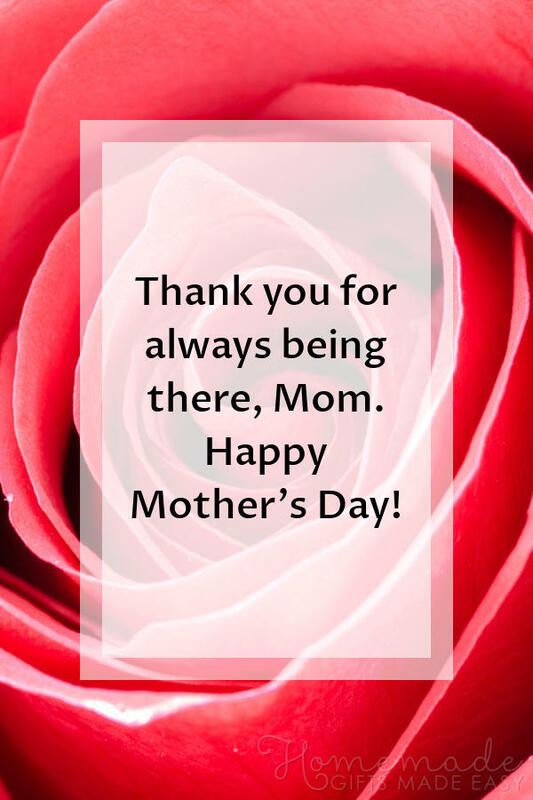 Mother's Day is a wonderful opportunity to thank your Mom for all that she has done for you over the years! In general, it's always nice to thank your Mom for being there for you, acknowledge some of the the sacrifices she has made raising you, and to wish her all the best for her special day. But it is up to you just how sentimental your message is. You can keep it short and sweet, or take the time to craft a personalized and heart-felt message. Sometimes the best way to express your feelings is to keep the sentiment simple. 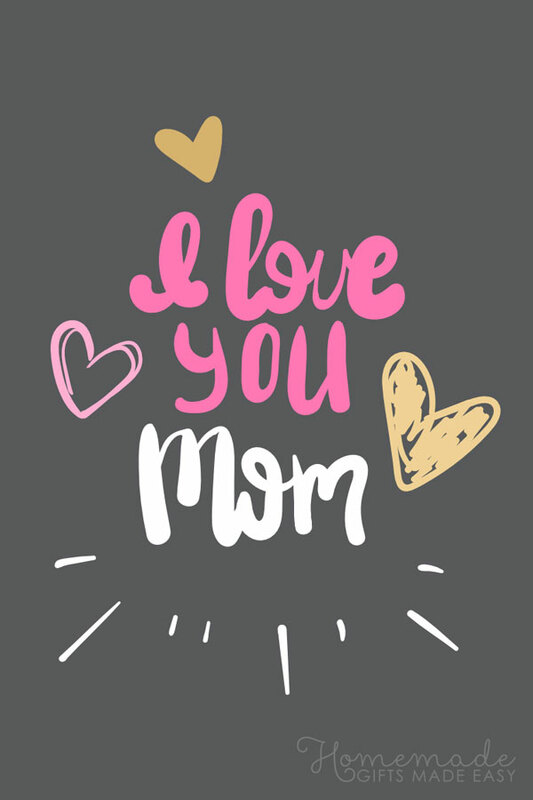 Use these short Mother's Day quotes & sayings as inspiration for how to tell your mom how much she means to you. May your Mother's Day be filled with as much happiness as you brought to my childhood. 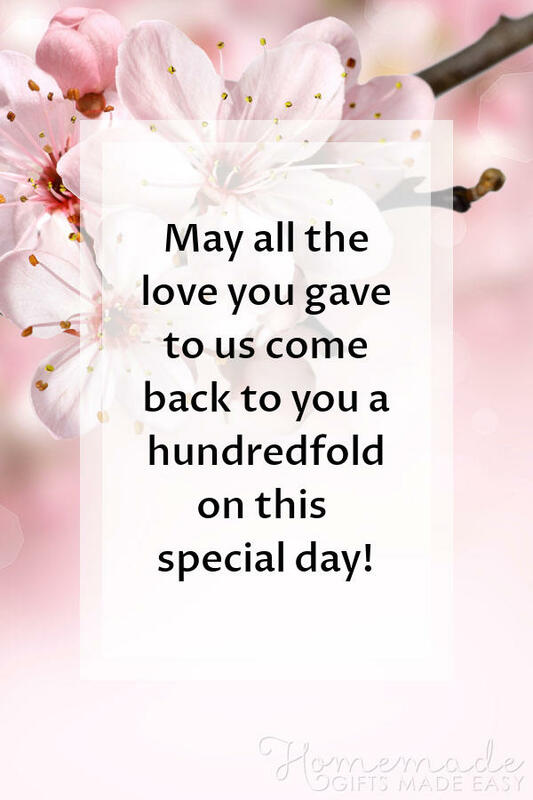 May all the love you gave to us come back to you a hundredfold on this special day! 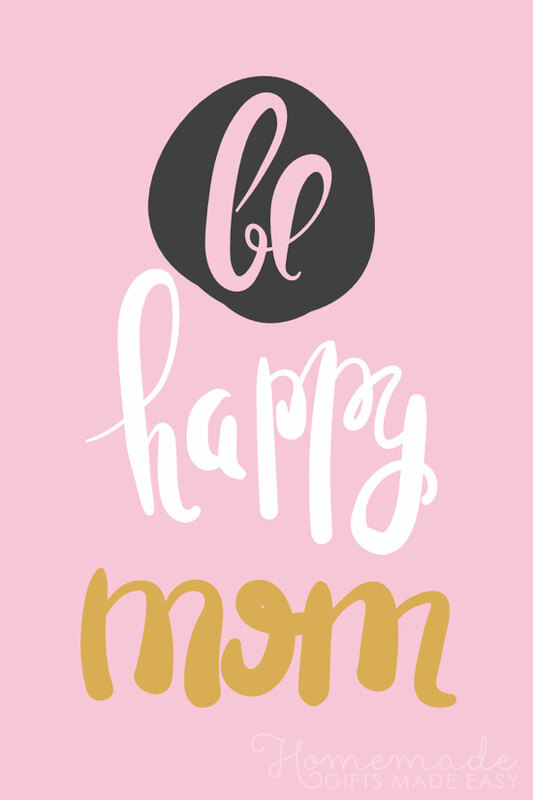 Wishing you all the love and happiness you so richly deserve... happy Mother's Day! Mom.... You're the best! Thanks for all you do. Happy Mother's Day! Thank you for always being there, Mom. Happy Mother's Day! Because of you, I am me. Happy Mother's Day! 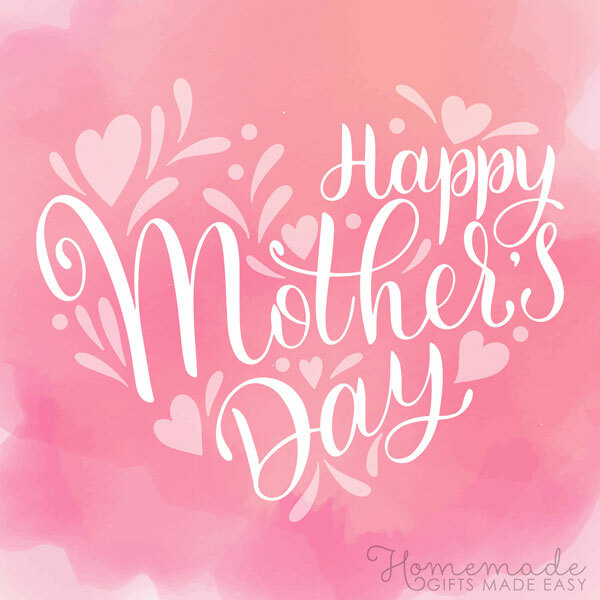 Wishing you a fabulous Mother's Day! You're the best mom I could have asked for. Wishing you a very special Mother's Day. Thank you for always being there for me! Happy Mother's Day to the greatest mom I could ever have asked for. Thanks for giving me the best things in life: Your love, your care, and your cooking. Happy Mother's Day! 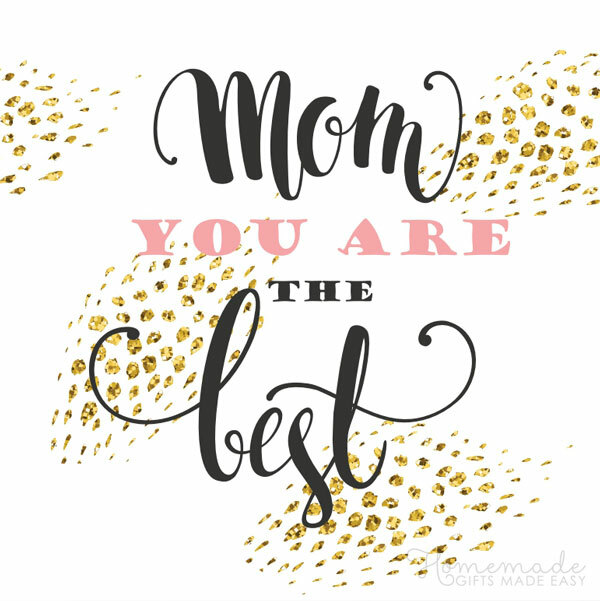 To the most amazing mom in the entire universe... you! Happy Mother's Day. Thanks for being so awesome! To the best mom in the world, Happy Mother's Day! Thank you for being chief cook, counselor, taxi-driver, cheerleader, and best all-round mom in the world. Happy Mother's Day to the greatest mom! We don't say it enough, but we really appreciate all that you do for us every day. You truly are the glue that holds our family together! Happy Mother's Day to one *super* mommy - we are so lucky to have you! Thanks for all you do! 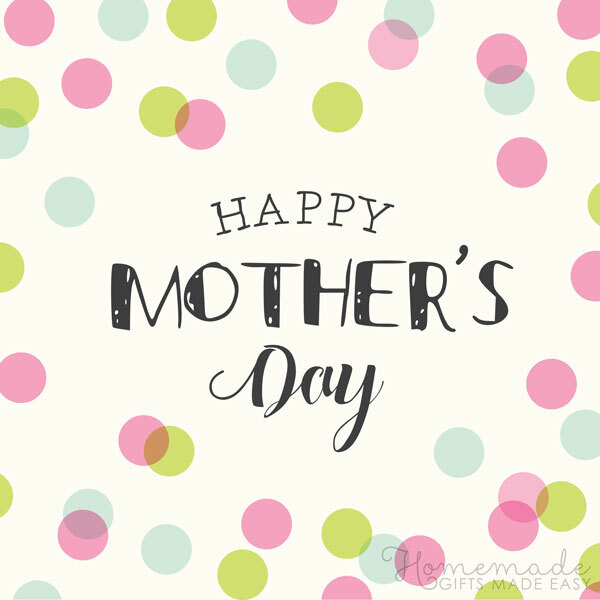 We hope you have an amazing Mother's Day, Mom, and that you feel truly appreciated on your special day. Roses are red, violets are blue, sugar is sweet, and so are you! Happy Mother's Day to the sweetest mother in the world, we love you! Mom, you taught me all about hard-work, patience, humility, kindness, perseverance, tolerance, forgiveness, and understanding. And how to have a lot of fun along the way! You have given me such a strong foundation by which to live my life, and I am so thankful for that. I love you Mom! 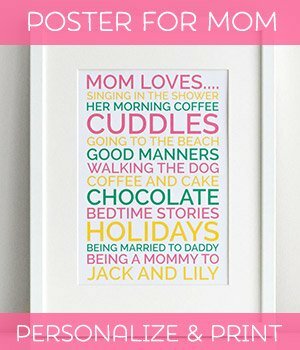 A collection of inspiring quotes about mothers, capturing some of the amazing things mothers do for us, and how special they really are. 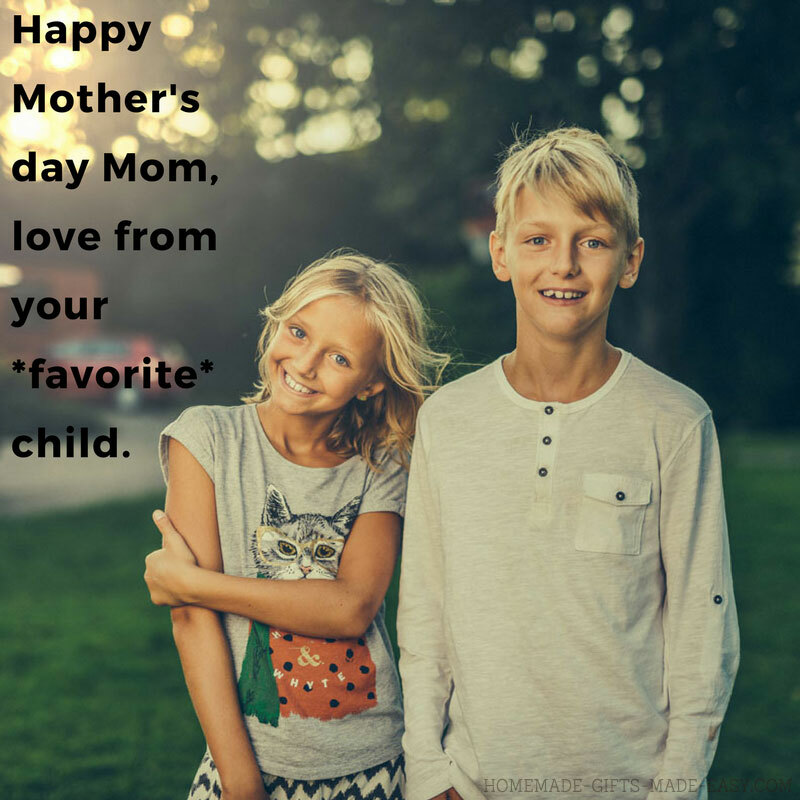 These Mother's Day sayings could be written as part of a greeting card message to your mom. Life doesn't come with a manual, it comes with a mother. There's a reason some people think they can achieve anything. They listened to their mother. Mothers are like glue. Even when you can't see them, they're still holding the family together. Nothing is really lost until your mom can't find it. There will be so many times you feel like you've failed. But in the eyes, heart, and mind of your child you are a super mom. Enjoy every single moment. The good, the bad, the beautiful, the ugly, the inspiring, the not-so-glamorous moments. And thank God through it all. If you are a mom, you are a superhero, period. 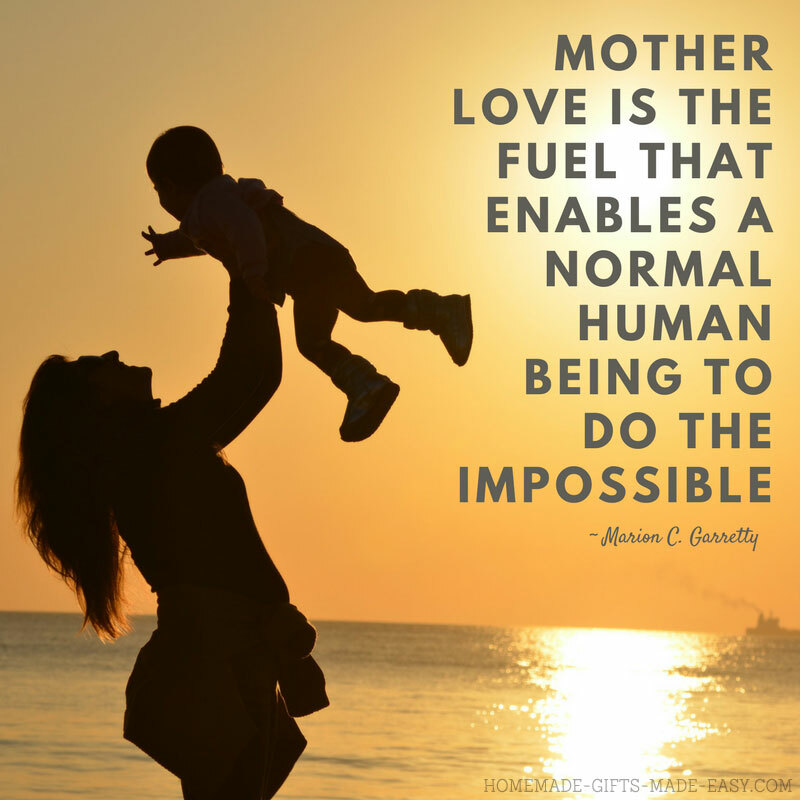 There is no way to be a perfect mother and a million ways to be a good one. All that I am or hope to be, I owe to my mother. 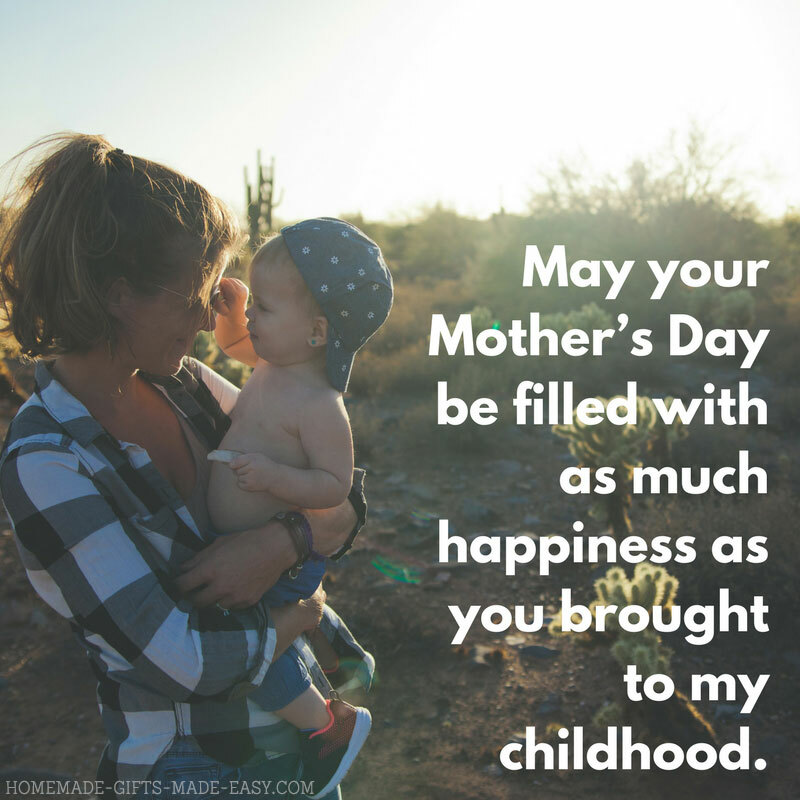 A collection of inspiring and beautiful Mother's Day sayings and quotes from daughters. If I didn't have you as a mom, I'd choose you as a friend. We are best friends, my mom and I. A mother. When you're a child she walks before you, to set an example. When you're a teenager she walks behind you, to be there should you need her. When you're an adult she walks beside you, so that as two friends you can enjoy life together. A little girl, asked where her home was, replied, "Where mother is". The special bond shared between a mother and daughter is the one place in all the world were hearts can be sure of each other. Like branches on a tree, we may grow in different directions, but our roots remain one. As mothers and daughters, we are connected with one another. My mother is the bones of my spine, keeping me straight and true. She is my blood, making sure it runs rich and strong. She is the beating of my heart. I cannot now imagine a life without her. A mom's hug lasts long after she lets go. Daughter: "Mom, what's it like to have the greatest daughter in the world?" Mom: "I don't know honey, you'll have to ask Grandma." I smile because I'm your daughter. I laugh because there is nothing you can do about it. 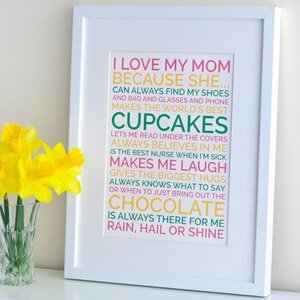 And here are some Mother's Day sayings written from daughters to mothers that you can use as a message in a greeting card. Thanks for being an incredible mother and role model to me during my childhood. I am so thankful to have your support and guidance as I navigate through life. Happy Mother's Day! Mom, I honestly don't know how I'd get through each day without you by my side. Thank you for being such a supportive mother to me, and a fantastic grandmother to my children. We all love you so much! Happy Mother's Day! Growing up I don't think I realized just how much you did to keep our day-to-day life running so smoothly. Now that I'm grown up, I am in awe of everything you did for us, and I admire you all the more. Thank you for making my childhood such a special one! 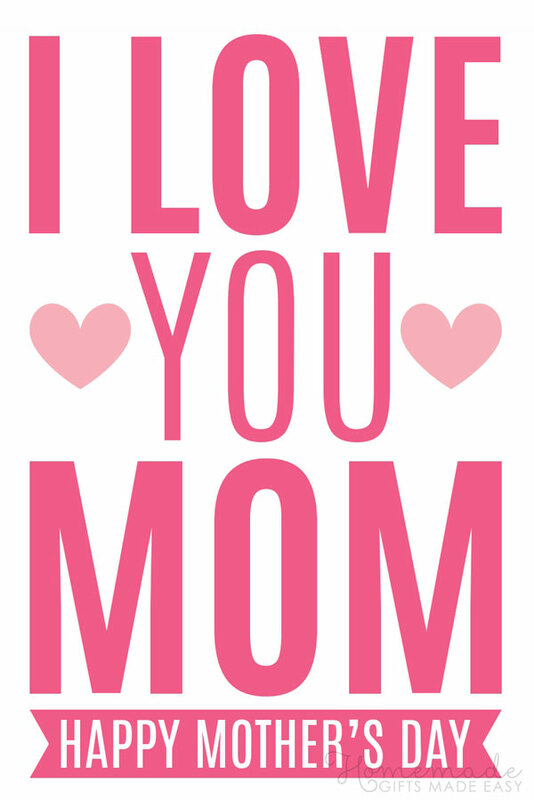 I love you Mom! Mom, you're truly the best mother, role-model, and friend I could wish for. Thanks for guiding me through life and supporting me every step of the way. You are amazing! 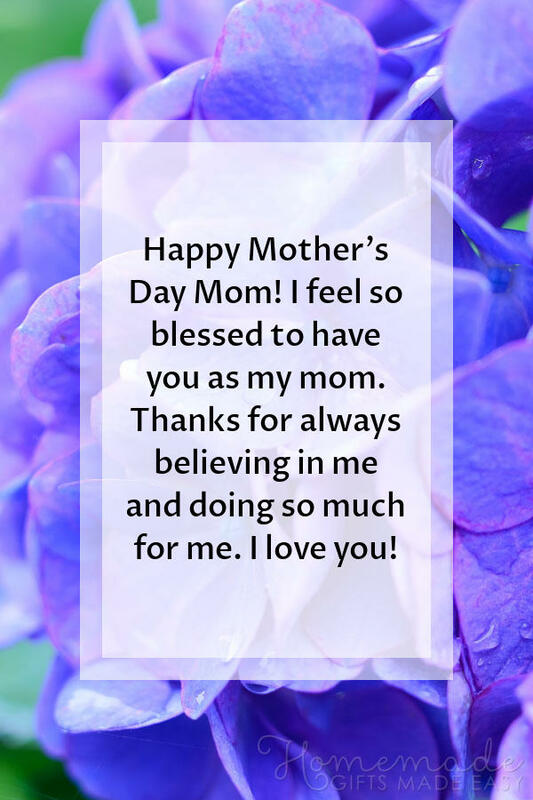 Now that I'm a mother myself, I realize just how much I have taken for granted over the years and appreciate everything you did for us all the more. I hope I can be as good a mother for my children as you are to me! I love you Mom! To my dear mother, you are my best friend and companion through life. Thank you for being there for me through good times and bad. I love you! Happy Mother's Day mom! Although we're far apart you are always in my heart. I love you and miss you more than words can say. In this section you'll find short Mother's Day poems that work well in a greeting card message. 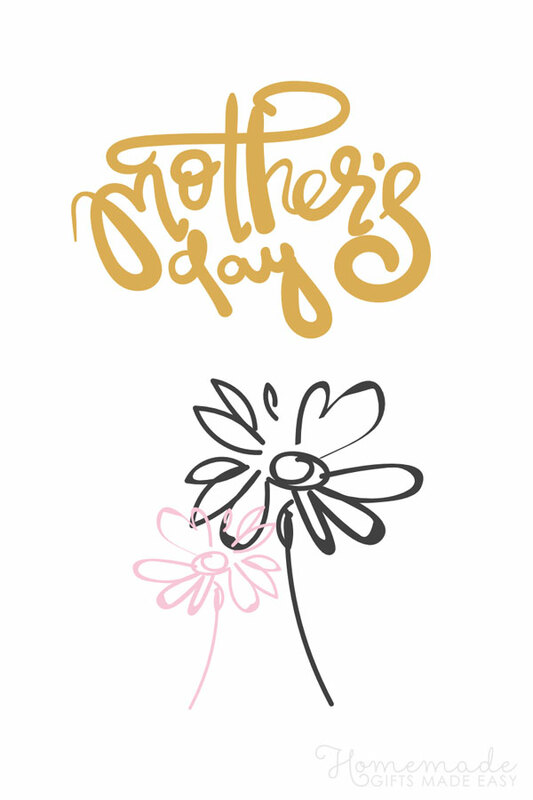 You can go to our Mother's Day poems page to view the full collection of poems. You're the sunshine to light my day. To love year after year. And saved her just for me! Kind and caring and strong. Could have put up with me this long! And I thank the stars above! Sweet things you have done! 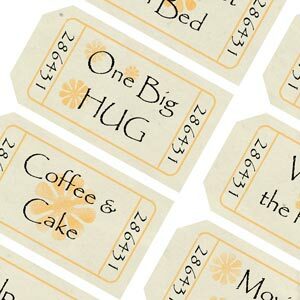 Brighten your Mom's day by choosing one of these funny Mother's Day sayings and messages to write in her card. Happy Mother's Day mom, love from your *favorite* child. Mom, I got all my best qualities from you. Aren't we lucky that you had enough for both of us? I'm so lucky to have you as my mother... I'm sure no one else would have put up with me this long. Happy Mother's Day! Mom, I know it's hard for you on Mother's Day... to hide the fact that I'm your favorite :-) Happy Mother's Day! Thanks for putting up with a spoiled, ungrateful, messy, bratty child like my sibling. Happy Mother's Day! Only a mother as perfect as you... could have a (daughter/son) as perfect as me. Happy Mother's Day! Mom, thank you so much for everything you've done for me. Don't worry about [brother's name], I know he isn't your fault, he must be adopted. Happy Mother's Day to a woman who deserves a medal... for putting up with me all these years! Thanks for letting me be a parasite in your body for 9 months... followed by another 18 years as a parasite outside your body. Don't you think it's funny that you're still my Mother? You deserve to have been promoted by now! You're a very special mom so I'd like to give you a very special gift. You can have either a hug or a million dollars, whichever you prefer. Do I know you well or what!? Happy Mother's Day to someone who carried me for 9 months physically, and for [insert age] years financially. Mother (n). One person who does the work of twenty. For free. Also see: "saint". Mom, I just wanted to say "Congratulations"... I turned out perfectly! 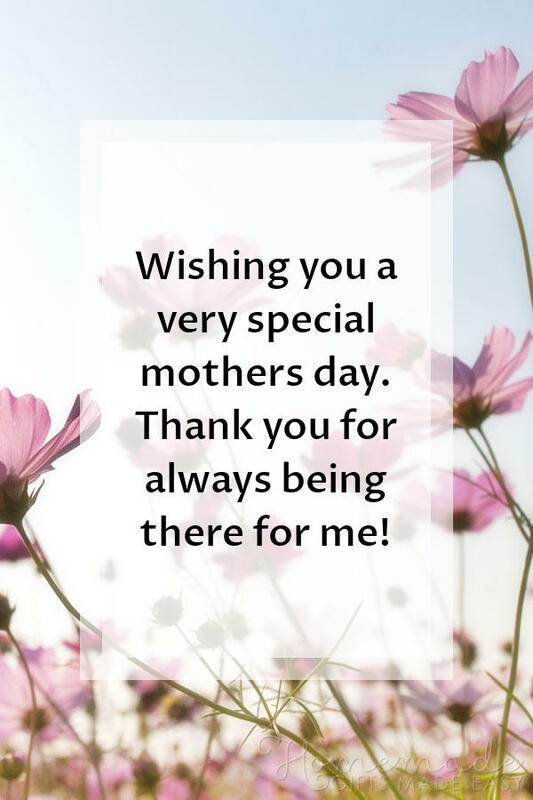 A collection of sweet Mother's Day sayings and messages on beautiful images that you can send to your Mom to wish her a very happy Mother's Day. Happy Mother's Day Mom! I feel so blessed to have you as my mom. Thanks for always believing in me and doing so much for me. I love you! 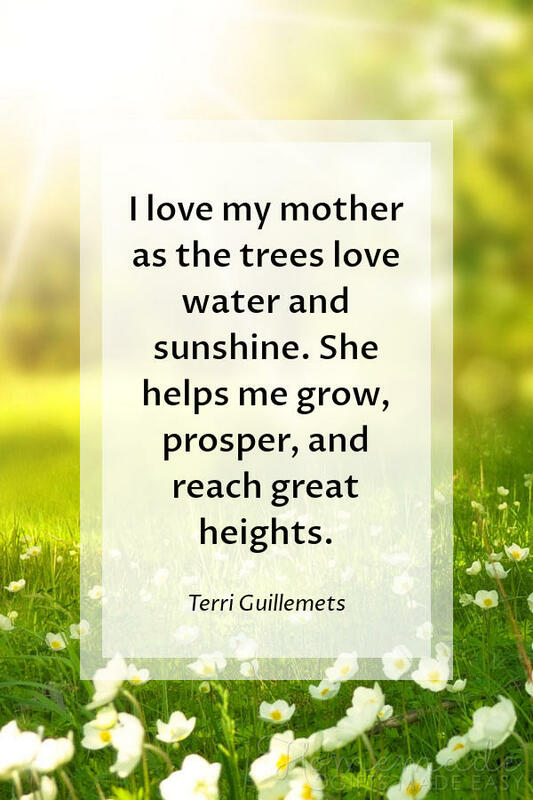 I love my mother as the trees love water and sunshine. She helps me grow, prosper, and reach great heights. 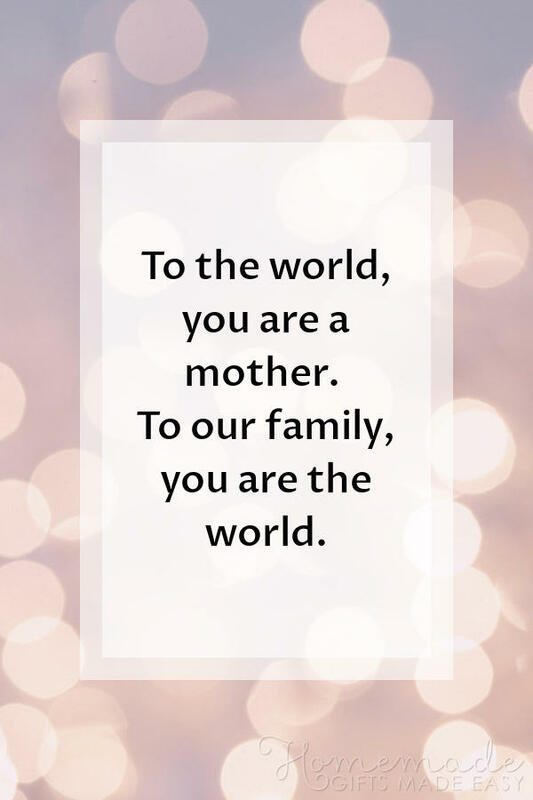 To the world, you are a mother. To our family, you are the world. Amazing Loving Strong Happy Selfless Graceful. Happy Mother's Day to the best mom ever. I love you to the moon and back again! Mom, you are the best. 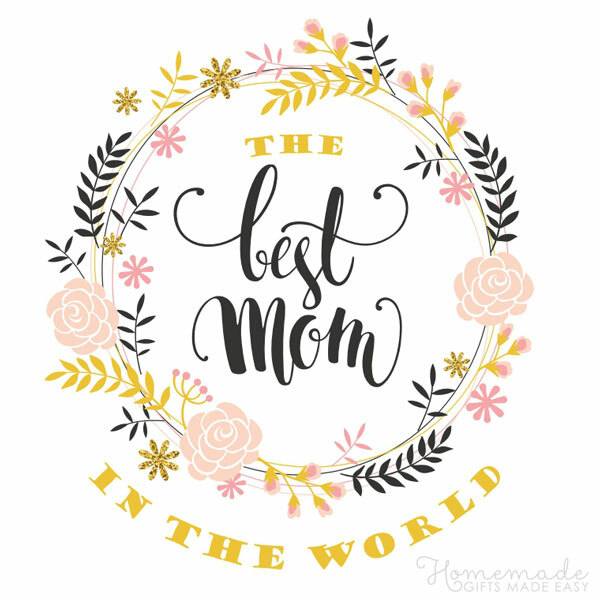 Mommy, we think you're the best mom in the world! Thank you for looking after us so well and making every day so much fun. 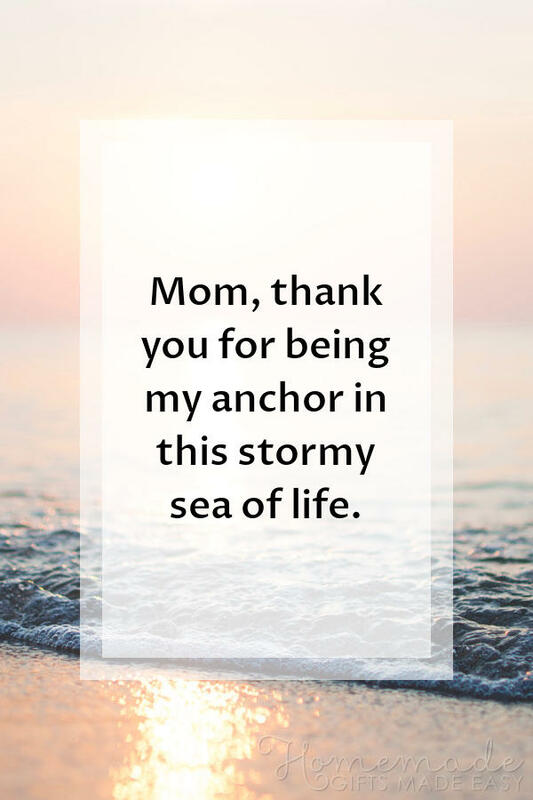 Mom, thank you for being my anchor in this stormy sea of life. 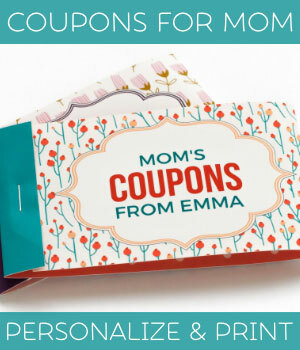 Make your mom a beautiful personalized Mother's Day gift to show her how much you love her. Left things to the last minute? 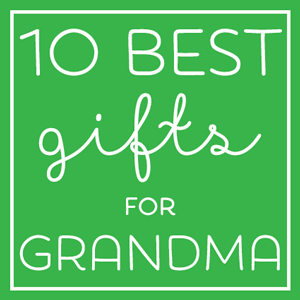 Here is a fabulous collection of 25 Mother's Day gift ideas you can order online.